Welcome to Hotel Eden Brenzone. 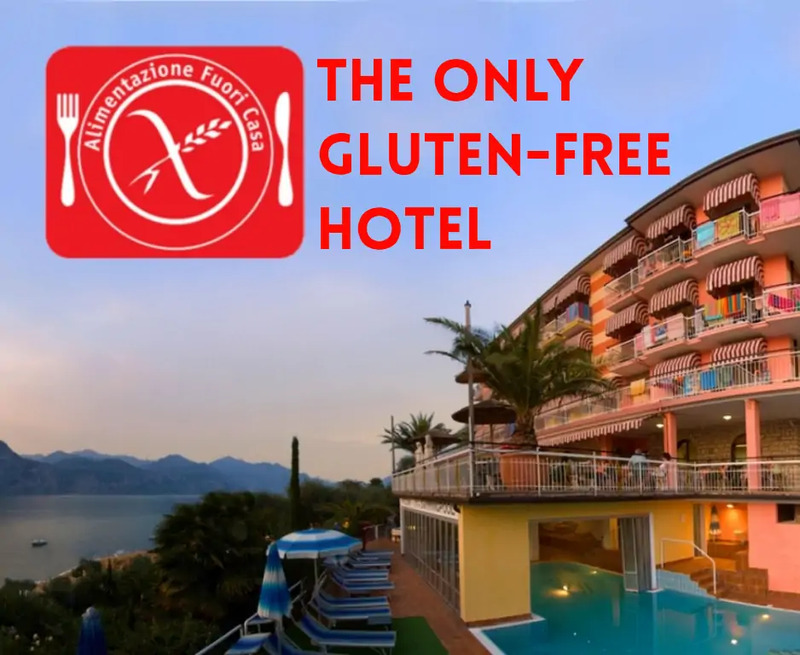 Hotel Eden Gluten-free Restaurant Hotel is located 50 metres from Lake Garda in a beautiful panoramic position. It is run by the Consolini family and our terrace offers a 180° lake-view. Hotel Eden has every comfort and service, from heated pool and hydromassage to private beach and it is surrounded by a large olive grove, with beautiful centuries-old trees and Mediterranean vegetation. We want to remember to the gluten intolerant that our cuisine is available gluten free too; that includes the half-board as well. In fact we are the unique structure on the east side of lake Garda that is officially registered to the A.I.C. (Italian Celiac Association). Relax: Get relax under the sun in the privacy of our olive tree near the pool, enjoy our hydro massage Jacuzzi or have fun in our private beach directly on lake. Our private beach is equipped with deckchair for sunbath, parasol and tables and is for half covered from an English grass, strewn with olive trees, palms, roses, Bougainville and many other flowers and plants, while the other half has the classic sand of boulders typical from lake Garda’s beaches. By us you’ll find Finnish sauna too, that can be exclusively reserved, and an UVB Solarium. At the Hotel Eden, for a more comfortable injection, you can find an indoor pool, heated at a constant temperature of 27°C. Its particularity is that can be closed in the coldest days or can also be uncovered, becoming an open air pool with views over Lake Garda. Restaurant: With a welcoming environment is the restaurant inside Hotel Eden carefully managed by the local chef, that since 17 years continues to surprise. By us will be propose the best of the cuisine and flavor of the typical Italian tradition, that you can taste thanks to our fresh and local products. Thing that mustn’t be underestimate, is that during summer time you have the possibility to have lunch or dinner free of charge on our wonderful panoramic terrace with sea sight (by reservation an availability), that will add something more to every bite. We want remind that for those that are gluten intolerant, that our cuisine, so that our half board, are available gluten free too. Start good your day on a rich breakfast buffet, with gluten-free options available upon request. In fact our structure is the unique on the east side of lake Garda, that is officially registered to A.I.C. (Celiac Italian Association). Other Services: Big private parking for every room, an outdoor hydro massage, open air gym, Fitness nature trail, Buoy, depot for surfboards - bathing equipments - bikes, deckchairs for the beach and for the swimming pool, parasols, table-tennis, children’s playground, Transfer reservations (from-to airport - train station), excursions reservation with guide and departure directly from the hotel (Venice, Verona, Lake tour, etc.). All our 35 rooms have LCD-Led TV 32”, air-conditioning, central heating, terrace, safe, phone, wake-up call and Wi-Fi connection. All our personal speak your language! Location: Hotel Eden is located at the bottom of Monte Baldo, the botanical garden of Europe, only few meters away from the Lake Garda’s shores. The structure is set in a Park of olive trees and it offers to guests a breath-taking view on the lake. Ambient: With Monte Baldo behind and the lake Garda out the hotel’s door, the Eden’s guests will have no problem for their freetime activities; in close proximity there is a rich variety of sport activity like sailing, surfing, swimming, fishing, water-skiing, diving, climbing, cycling and much more. In 1800 meters from the hotel is situated a tennis center. In addition the Monte Baldo offers beautiful paths for professional and amateur walkers. (Hotel Eden Brenzone hotels).